X-Small for dogs under 10 lbs. Small for dogs 11-20 lbs. Medium for dogs 21-50 lbs. Large for dogs 51-80 lbs. X-Large for dogs over 80 lbs. 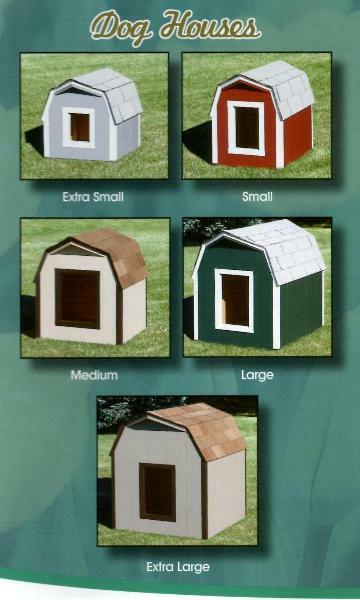 Made with T-111 Siding, Exterior House Paint, Shingles, Metal Trim to prevent dogs from chewing it, and best of all we have many colors available! Lighthouses are handcrafted from one half-inch signboard plywood, painted with an exterior paint and are built to endure all types of weather conditions. Quality and customer satisfaction are our number one goals in every lighthouse we produce and we offer a variety of styles to suit your taste. 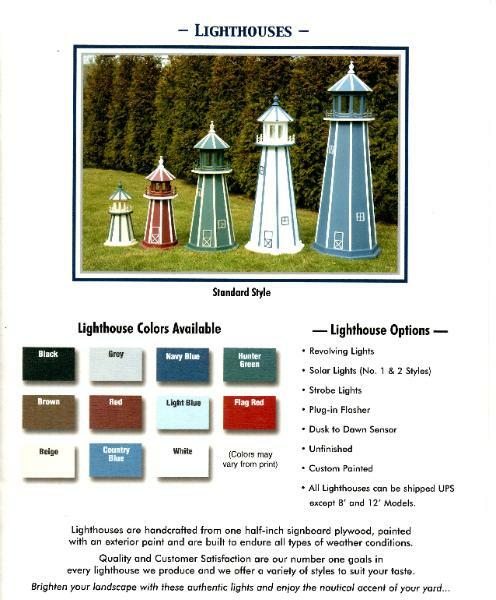 Brighten your landscape with these authentic lights and enjoy the nautical accent in your yard. 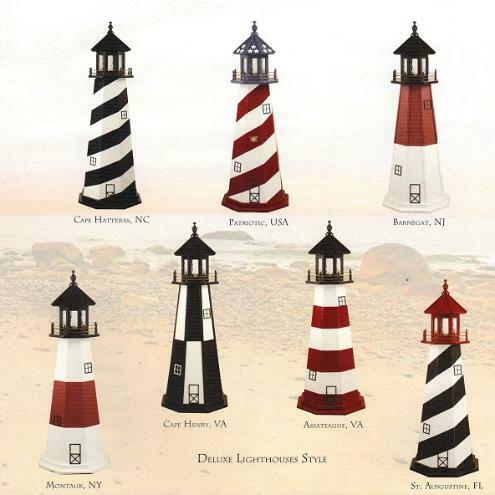 These are some of our many Deluxe Style Lighthouses. We have several color combinations to choose from. Birdhouses and Feeders are built of premium grade material to last through years of bird watching.